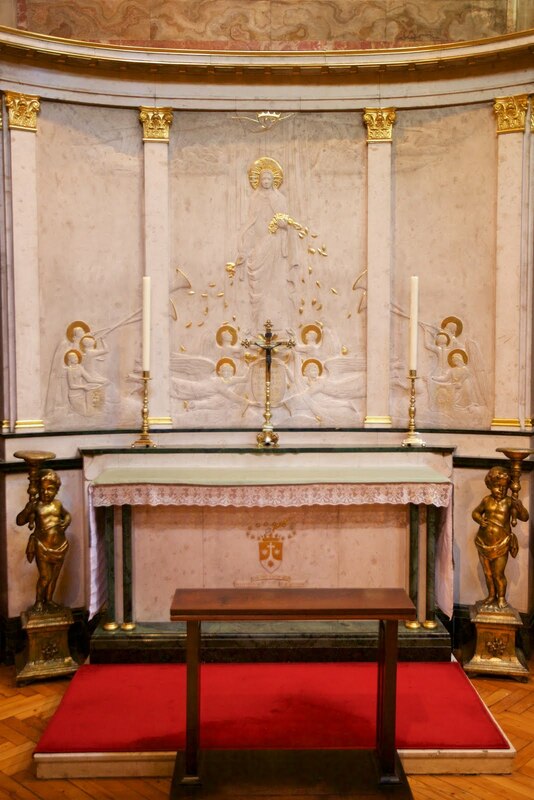 To the right of the high altar and sanctuary, near the Lady Altar, is a doorway which leads into the chapel of St. Wilfrid. 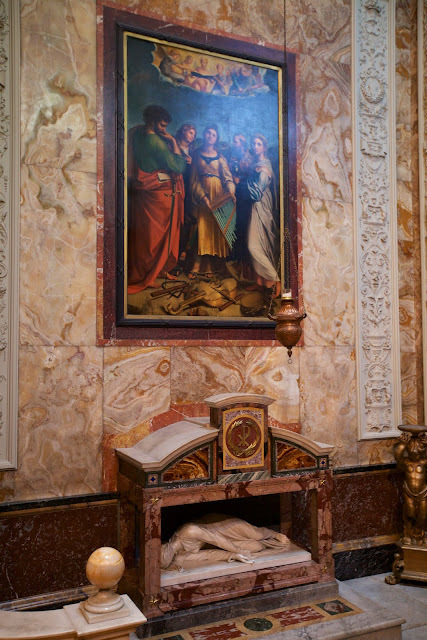 Above the door which enters into this chapel is an inscription which reads, "Remember your leaders. 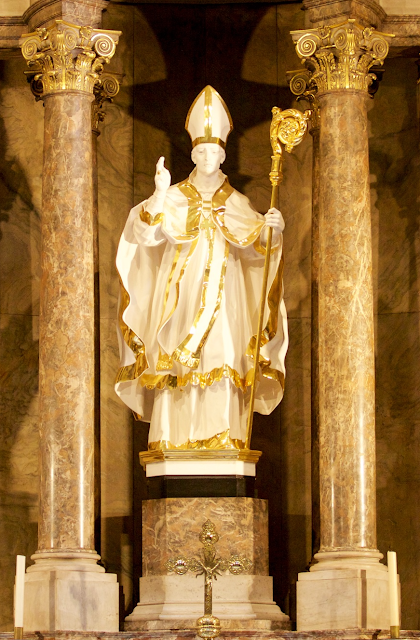 In honour of St Wilfrid, confessor and bishop and in memory of Fr Wilfrid Faber D.D." 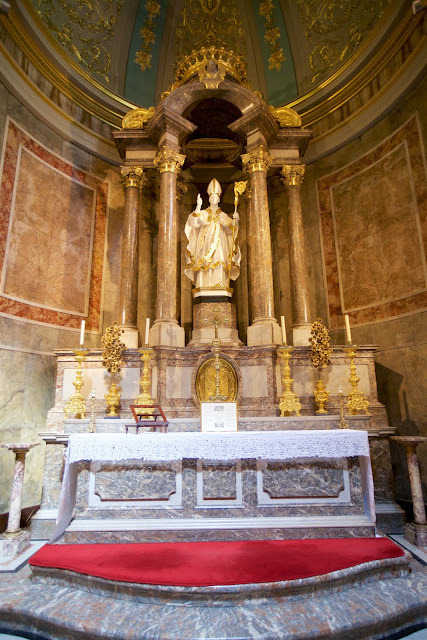 The primary altar of this chapel dates from 1710 and originally stood in the church of St. Remy in Rochefort, Belgium while the statue of St. Wilfrid was created by Darío Fernández and installed in 2013. 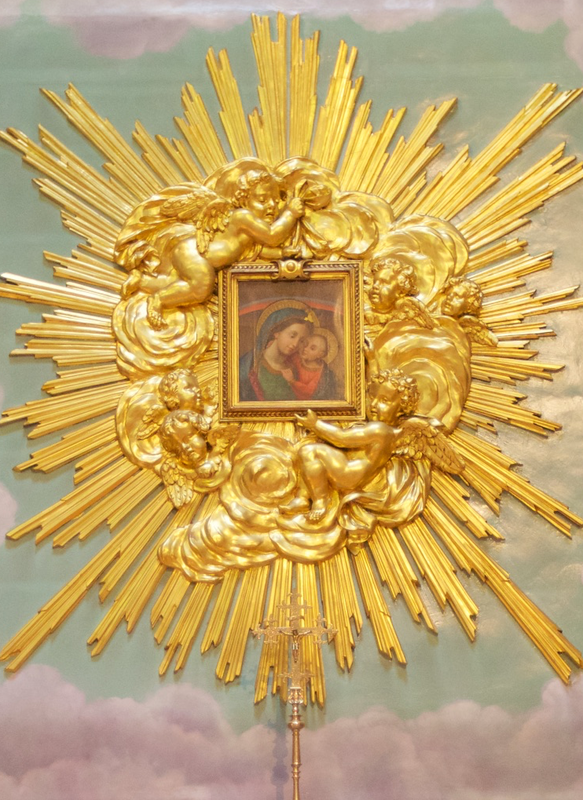 Just to the right of St Wilfrid’s altar is the altar of Our Lady of Good Counsel which includes a copy of the famous image that hangs in the shrine of Our Lady of Good Counsel in Genazzano, Italy. 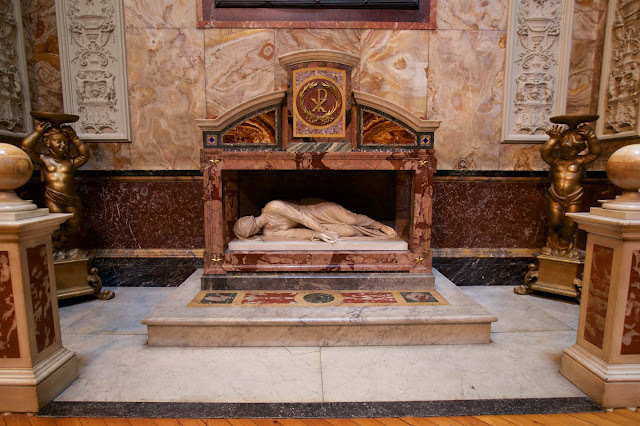 Opposite this altar is the shrine of St. Cecilia which includes a copy of the famous sculpture of the same found in the church of St. Cecilia in Trastevere. 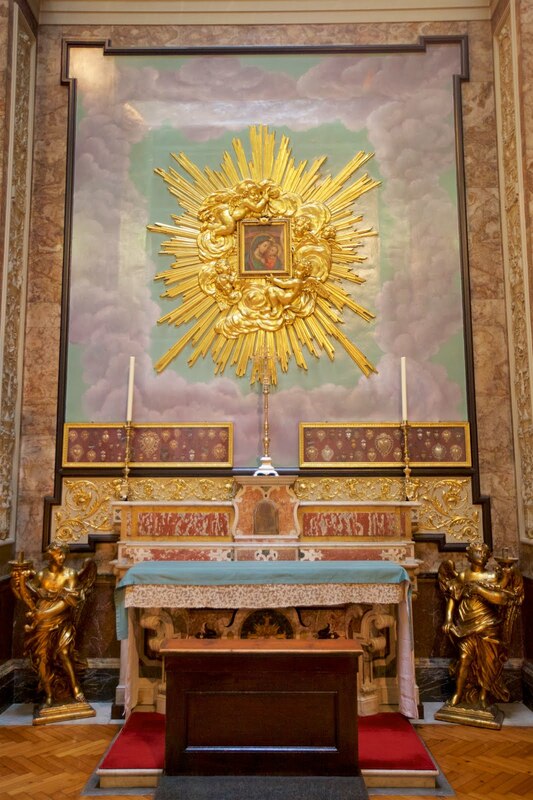 Above this is a copy of Raphael's painting of "The Ecstasy of St Cecilia." 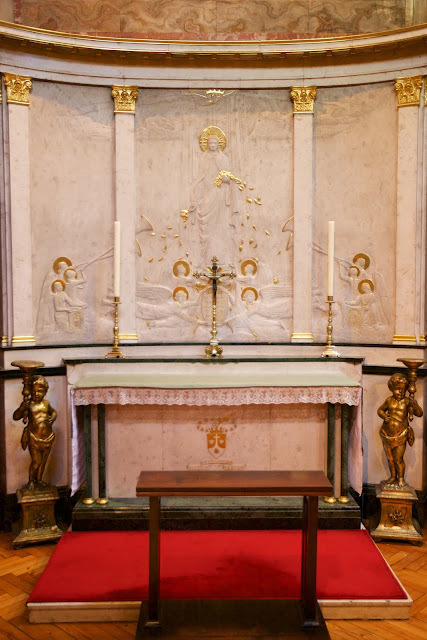 Near the entrance of St. Wilfrid's chapel is an altar dedicated to St. Therese of Lisieux designed by David Stokes in 1938 which is decorated with a marble bas-relief portrait of the saint by Arthur Pollen (1899-1968). 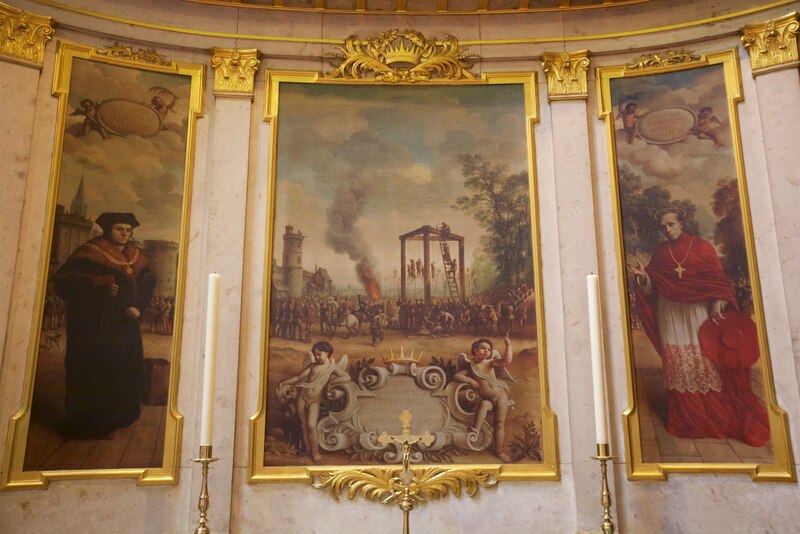 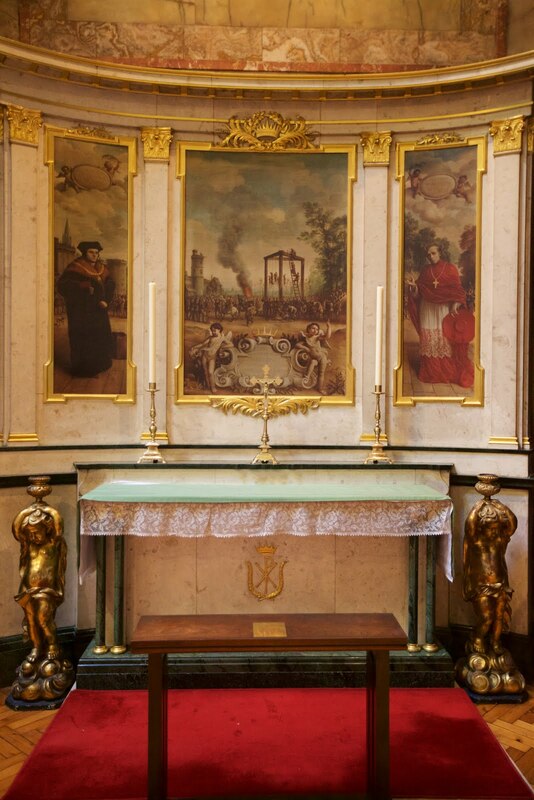 Opposite to this altar is another dedicated to the English Catholic martyrs which includes images of St. Thomas More, St. John Fisher and a scene of the Tyburn martyrs.